I would like to inquire about your property Bayut - DP-R-37424. Please contact me at your earliest convenience. Brought to you by Driven Properties, this 2 Bedroom Apartment is located in A2, The Hills.
. 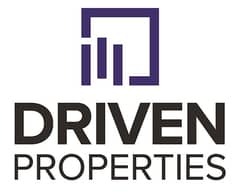 Since 2012, Driven Properties has grown to be one of the largest real estate platforms in the region. Throughmultiple branches in Dubai, Ajman, China, and Saudi Arabia, Driven Properties manages a portfolio of over10,000 units.